Last night was opening night at The Appalachian Fair in Gray, Tenn. This is one of the major fairs in the Northeast Tennessee. In its 89th year, the fair in Gray, Tenn., again had everything you expect to find – carnival rides, games, the best variety of fair food, cows, sheep and horses, arena attractions like the tractor pull, and of course – great entertainment on the Main Stage. Last night, we got a great show from Scotty McCreery [show article/photos here]. We enjoyed the opportunity to speak with Scotty before the show, and ask him a few questions about his music, tour, future plans, and more. 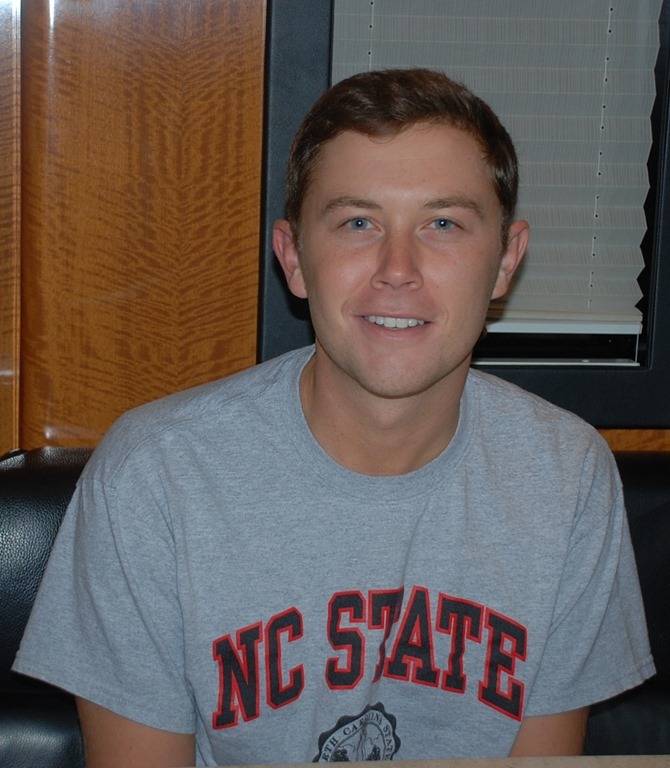 Here is our interview with Scotty McCreery. CC: Your single, “Southern Belle” is going released to radio soon. It is very different from other Scotty McCreery music. Is that what we can expect to hear on the new album? Scotty: “Southern Belle” is just kind of a different feeling song, it’s unique. When we were in the studio, we didn’t want to make it something it wasn’t, because I fell in love with it. So when we were in the studio, we just kind of went with it and we are going to end up where we did. I’m very excited about it. It is a unique sound for me. If you’ve listened to me before. But I think more than anything we didn’t try to do that, it was just kind of a natural thing. We did four songs that we’ve cut so far that you’ll know its me, and songs I’m loving, too. CC: Do we have an album title and release date yet? Scotty: Not yet, we’re still working on it. We’re going to go back in the studio in two or three weeks and work on that. I have five songs recorded and we’ll probably record another seven or eight, then we’ll figure all that out. The album release date will probably coincide with (hopefully) the peak of “Southern Belle” on the charts. We’ll try to create that mass awareness. I’d say it will be probably early next year, if I had to guess. CC: You co-wrote “See You Tonight,” “Can You Feel It,” and a few other songs that you recorded. 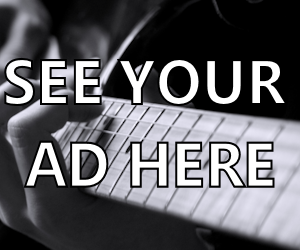 Have you recorded anything that another performer worte? Scotty: My third single off my first record, “Water Tower Town” was written by Cole Swindell, who I know is going to be at this fair this week. That was actually the first cut he ever had, the first kind of ‘in’ in the music business. I remember calling him and telling him we were going to release this as a single, and he was over-joyed. Now he has number ones of his own. CC: Most of your fans have seen videos of the duets you did, “I Told You So,” with Lauren Alaina, and “The Dance” with Sarah Darling – would you like to record a duet as a single? If so, who would you like to have for a duet partner? Scotty: That would be awesome. We’ve discussed something just last week about bringing on a male country singer to do a father/son kind of song. So, we’ll see if that works out. But, if I could do something with a female, like a Dolly Parton or Loretta Lynn, that would be sweet for me. CC: You’ve got just about every area of social media covered with Twitter, Facebook, Instagram, etc. We know how busy you are, so we were all wondering – do you do your own ‘tweets’ and Facebook posts? Scotty: I do my own Tweets. Twitter is about 98/99 percent me. Every now and then, I have to throw in a business tweet, and they do that from the label. But, 99 percent of it’s me. Facebook is a lot more business. I’m more the Twitter guy, Twitter is pretty much all me. CC: American Idol has announced that this will be the last year for the show. Do you have any thoughts about the show that got you off to such a great start coming to an end? That was pretty much what kicked all this off for you. Scotty: Definitely, that was a big platform for me back in 2011. It’s definitely sad to see that show go, but it had a great run. Any show that stays on for 15 years these days with TV just doesn’t happen anymore. It’s cool to see what it’s done for a lot of artists out there. And, really for pop culture. Glad to be just a small part of what the show was about. It will be sad, kind of bitter sweet to be there. I think all the winners will be back to do a little thing together, so it should be a fun night. Scotty: They’ve asked me a couple of times to do it. I have a long way to go before I consider myself a star, like Carrie or Kelly Clarkson, who came form the show. Right now my focus right now is 100 percent music, and lets get out songs out there and try to get some hits together. Down the road, maybe if I could make a lasting career like Carrie or Kelly, maybe we could do something like that. Scotty: I have two years under my belt at NC State, and I decided this last year with making the new record, and touring with Rascal Flatts, it was going to be very, very tough to balance the two like we have been doing. So I took a break that semester and this semester, and down the road I’m hoping to finish up and get the degree. But, right now it is just too busy for that. It is important to me, that’s why I try to make it work. I was majoring in Media Communication. My plan growing up was to move to Nashville, go to Belmont or Middle Tennessee State and try to study the music business, but once I got thrust into it at 16-17 years old, I kinda realized I was getting the best education I could (first hand), with these guys on the road and with my label in Nashville. I figured the next best thing was the media, if your fans are going to find out about your music media, so I thought it would be good to learn and study about that. CC: I have a few of those “Fans want to know” questions for you. What is your favorite food? Scotty: Beach – that’s tough though. I do love both. CC: Do you have any pets? Scotty: Two dogs, Becky and Junior, I plan on getting an English Bulldog down the road, that will be Brady. Becky and Junior are actually my Mom’s dogs – they are Bichon Frises. CC: Is there any ‘famous’ person you would like to meet? Scotty: I’d sure like to meet Jennifer Anniston, that would be pretty sweet. There are plenty of folks out there. Guys that were my really big idols, Garth and George, I’ve had the pleasure of meeting, so those were huge ‘bucket list’ items for me. I haven’t met Alan Jackson yet. There are other artists I’d like to meet. CC: I’m not going to try to explain this question, but it came up in conversation recently, so we want to ask… When you eat French fries, do you put the ketchup all over the fries, or put it in a little pile next to the fries? Scotty: I put it on the side in a pile and then I pour my salt and pepper in the ketchup and stir it up. It’s too messy sometimes with the ketchup all over the fries. This is just a nice little, neat way to do it for me. So, that’s what I do. CC: If a fan has never seen you on stage before, and they are going to come see you. What can they expect from a Scotty McCreery show? Scotty: We try to have a big time, we try to have a party out there. But mostly, I try to take my fans on a journey for 75-90 minutes. We try to take them to the highest of highs and to the lows, and try to make them think about life and things. I want them to leave with more than just ‘we had an awesome time.’ I mean, I want them to leave with that, but I also want them to go through a journey with them for that hour and a half. We try to do that. Tonight we’ll try to convey that, and hopefully you will see that when you see the show. We try to take them all over. CC: Is there anything you would like to say to your fans? Scotty: Thank you! For a guy like me, more than for a lot of artists, the fans are the reason I’m here. because of Idol, and them allowing me to be the winner that year. It’s been fun so far. So thank you all, for allowing me to do what I love. Thank you Scotty, for spending some time with Country’s Chatter. It was fun! We will be back with more soon, as fair week continues! @Yoo_GabaGaba @ScottyMcCreery mentions Brady the bulldog in this @countryschatter session http://t.co/b5NJUqKiMs Got a name 4 a choc lab? Another Great @ScottyMcCreery interview…… Scotty McCreery spends a little time with Country’s Chatter http://t.co/dYjAUVz7fB . . .